Tony Kushner’s landmark two-part play begins at a funeral, with a rabbi solemnly naming a woman’s surviving relatives; partway through the interminable list of grandchildren, he stops and sighs. It’s a witty opener for a piece that’s epic in every conceivable sense of the word, taking almost eight hours to tackle not just state of the nation, but state of humanity and the divine. Though there’s the odd lull, particularly in Kushner’s baggier, wilder second part, Marianne Elliott’s revival – 25 years after the influential National Theatre production ­- is a monumental achievement. 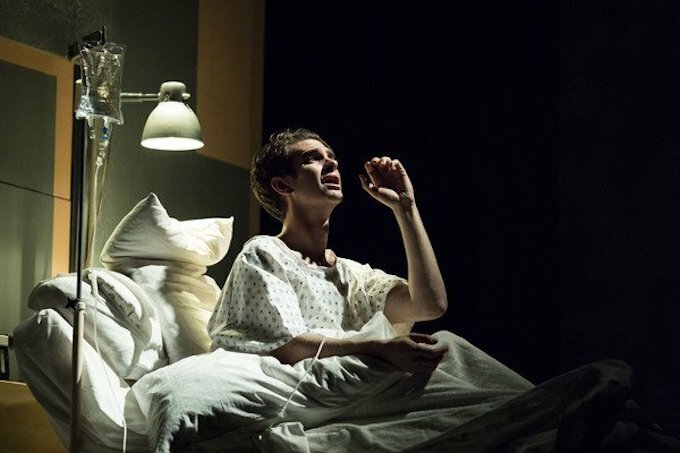 This entry was posted in Journalism, Theatre and tagged aids, andrew garfield, angels in america, broadwayworld, denise gough, donald trump, eighties, gay, homosexual, london, marianne elliott, nathan lane, national theatre, reagan, review, russell tovey, theatre, tony kushner. Bookmark the permalink.